An expeditionary team from the Russian Arctic National Park has just found a secret Nazi base named ‘Schatzgraber’ or ‘Treasure Hunter’ in the Arctic. The team found more than 500 objects of historical value in the ruins of what was once a Nazi base, said to have been built to search the arctic for ancient artifacts. The secret base is believed to have been one of the many sites built by the Nazi’s in their quest for supremacy. More specifically, the finding was made last August —as local media reveals—in Alexandra, an island located more than 1,000 kilometers from the North Pole. While people were cautious when the discovery was made a couple of months ago due to the lack of images and conclusive evidence, the news has gone viral as the team has posted a video where we can see a number of artifacts and the base completely in ruins. Te mysterious base, named ‘Schatzgraber’ or ‘Treasure Hunter’ was erected in 1942 – just one year after the Third Reich invaded Russia. Experts believe that the ‘Schatzgraber’ base may have been part of a much larger mission that was put in place when the Nazi’s searched for ancient artifacts. So far, experts have recovered around 500 objects from the site. 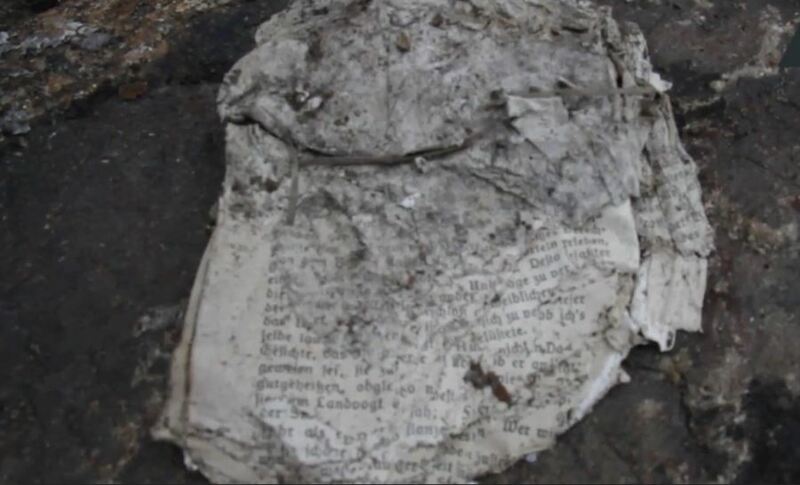 The ruins of the base, petrol canisters, and even paper documents are among the items recovered by Russian researchers. The objects are in a relatively good condition, preserved by the intense cold. It is believed that in 1944, Treasure Hunter personnel were evacuated after an illness broke out after consuming contaminated polar bear meat. Six years after, in 1950, the secret base was dismantled. Were they looking for actual treasures? If so, why the Arctic? What were the Nazi’s expecting to find in such an inhospitable area? Many people believe that the Nazi’s had several bases not only in the Arctic but in Antarctica as well. It is well known that during the Second World War, the Nazi’s carried out a number of strange experiments with alleged technologies unknown to the rest of the world in their attempt to rule the world. Extremely well preserved artifacts were discovered in the base now in ruins. The Arctic and Antarctica may have been of extreme importance to the Nazi’s, as they had expected to find ‘ancient technology’ in two of the most inhospitable places on Earth. ‘Station 211’ on Antarctica is said to have been a similar base to ‘Schatzgraber’ or ‘Treasure Hunter’ in the Arctic. 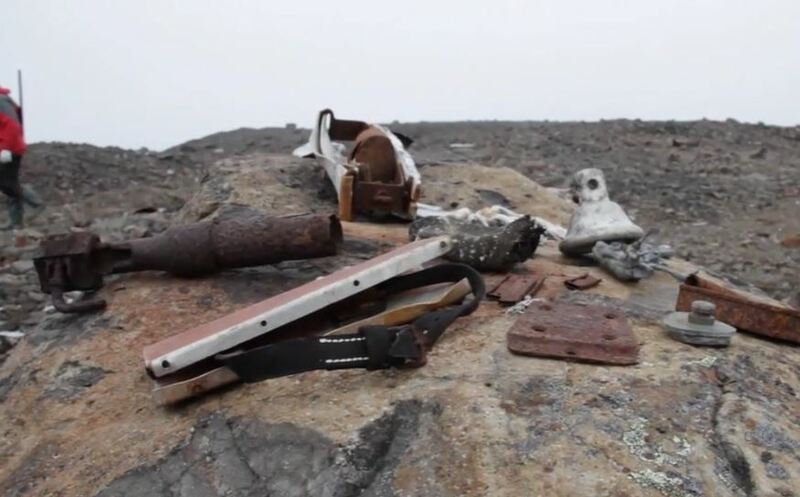 All of the artifacts discovered at the ‘Treasure Hunter’ base in the Arctic are being transported to Arkhangelsk for analysis by experts who will try to solve the mystery and real purpose of the abandoned Nazi base in the Arctic.